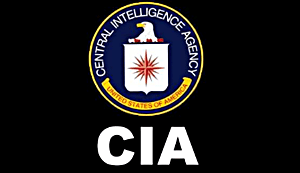 For many years, the CIA and other federal agencies routinely denied security clearances to gay men and women and would fire anyone in their employ if they were wound out to be gay. In the ’50s and ’60s during the McCarthy era the federal government would use the excuse that gays were a blackmail risk which in truth turned out to be nothing more than homophobic rhetoric because it was false. There was never one case brought forward that a gay federal agent was blackmailed. But that all changed when President Clinton signed an executive order ending the practice in 1995. Now as part of the CIA’s efforts to diversify its workforce, the spy agency is reaching out to a group that once was unable to get security clearance — lesbians and gay men. “This is the first time we’ve done a networking event of this type with any of the gay and lesbian chamber of commerce in the United States,” says Michael Barber, a self-identified “straight ally” and the spy agency’s LGBT Community Outreach and Liaison program manager. Over 200 CIA employees are members of the agency’s LGBT resource group today. The spy agency is one of the founding partners of Outserve, an organization that represents gay active military personnel, including those with the CIA.